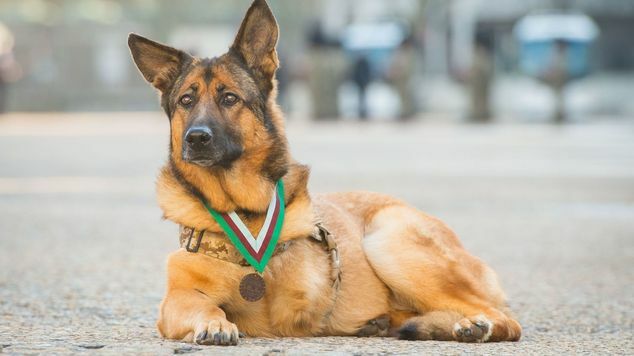 A military dog who lost a leg when sniffing out a roadside bomb has been awarded the animal equivalent of the Victoria Cross after serving in more than 400 missions in Iraq and Afghanistan. Lucca, a 12-year-old German Shepherd, served in the US Marine Corps for six years, protecting the lives of troops by sniffing out munitions. Her efforts were awarded with the PDSA Dickin Medal, the highest award for animals serving in military conflict. 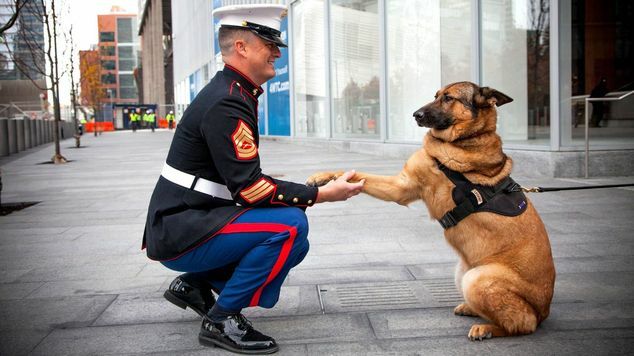 Lucca is the 67th animal to be honoured in this way and the first US Marine Corps dog to receive the medal. There were no human casualties during any of her patrols but, in 2012, she lost her leg and suffered chest burns after discovering a home-made bomb in Afghanistan and retired. Lucca's owner, Gunnery Sergeant Chris Willingham, travelled to London with his pet to accept the medal. He said: "Lucca is very intelligent, loyal and had an amazing drive for work as a search dog. She is the only reason I made it home to my family and I am fortunate to have served with her. Today, I do my best to keep her spoiled in her well-deserved retirement." Jan McLoughlin, director general of the PDSA, said: "Lucca's conspicuous gallantry and devotion to duty makes her a hugely deserving recipient of the PDSA Dickin Medal. Her ability and determination to seek out arms and explosives preserved human life amid some of the world's fiercest military conflicts. " Since the introduction of the medal in 1943 it has been awarded to 31 dogs, 32 Second World War messenger pigeons, three horses and one cat. Enjoying some spring weather this weekend!! 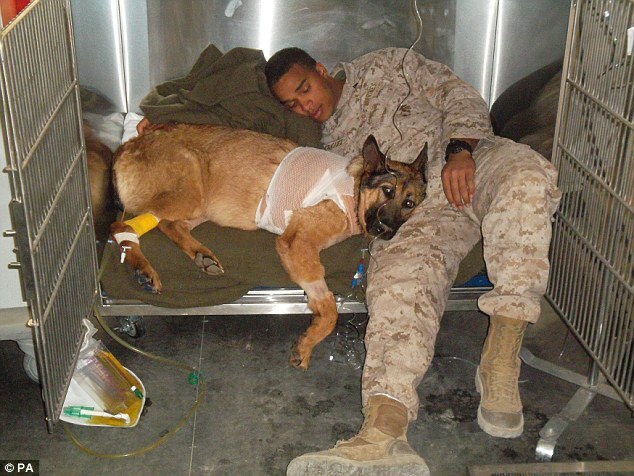 Responses to "Military dog who lost leg in Afghanistan awarded highest war medal"